Since I only wear one bracelet, I thought maybe I should extend my bracelet collection. And this treasure came right on time! A couple of days ago I received this beautiful Gleam Bracelet from Riverstones and I love it! Riverstones is a Dutch label created by a very creative lady! The SS15 collection is inspired by the beautiful island of Bali. She used palmtrees as a symbol for leisure and relaxation. The production takes place in Bali and she makes her jewelry of high quality materials. Most of her jewelry are 24 crt gold plated, just like this Gleam Bracelet. 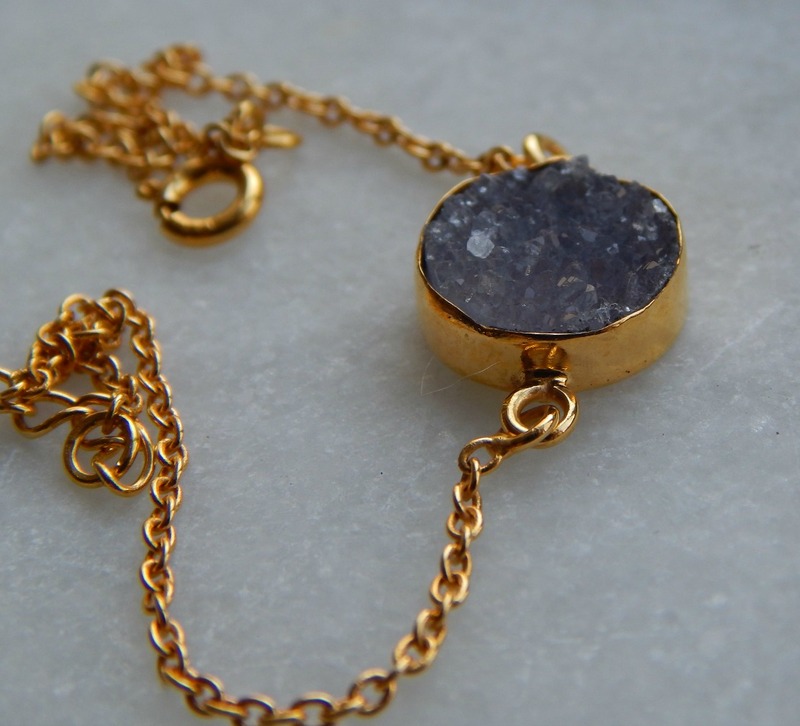 The stone is a grey agate druzy stone. Besides her beautiful jewelry you will also find very inspiring pictures and quotes on her site. 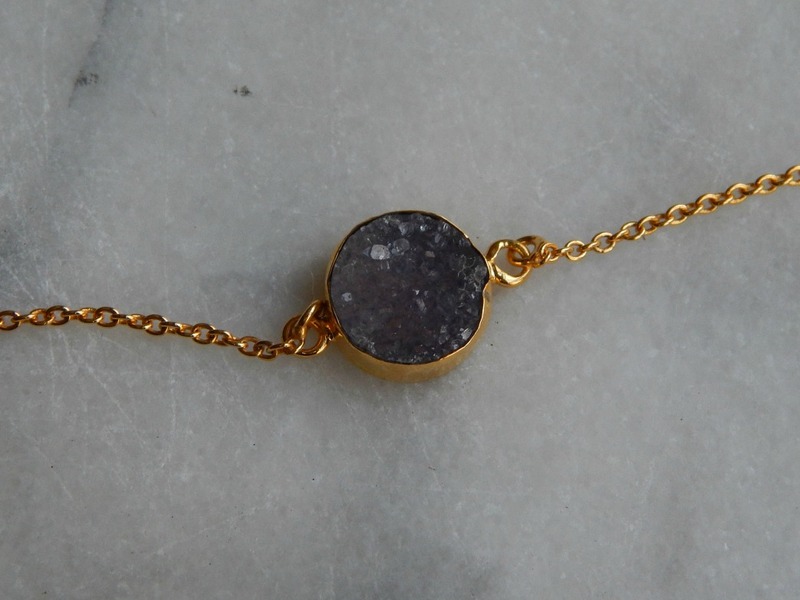 I would recommend this beautiful bracelet to anyone who loves fragile gold jewelry! I am in love with my new bracelet!